The Sister Project is so excited to partner with you as you seek to be and share the love of Jesus with women in Malawi. 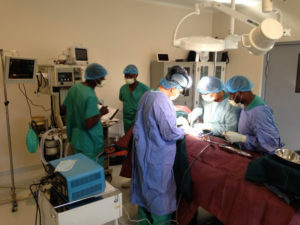 We are especially thrilled that our resources enables you to hire an anesthetist which will allow surgeons to give much needed c-sections to teen moms whose bodies have not matured enough to deliver their babies naturally; thus saving 2 lives in the process! These women’s earthy lives will not only be saved for now, but possibly for all eternity as it is the passion of Child Legacy International to share Jesus’ love with each and every one. This makes a difference. We praise God for bringing TSP together for such a work as this. “Oh, my goodness!!!! Praise God!!! We are so thrilled!!!! Thank you so much for the amazing opportunity to partner with Sister Project, we are beyond grateful and feel so blessed to be able to carry on this life-saving work together!!! To our other grant recipients, Grace House and Imani Xchange, we are deeply grateful to also join with you in your efforts to change our world one soul at a time. You are also making a world of difference for our Lord and Savior, Jesus Christ! Thank you for sharing your hearts and ministries with us. Thank you, Sisters for coming together to help Sisters near and far in the name of Jesus. how precious to get to be a part of all three of these powerful Kingdom works!